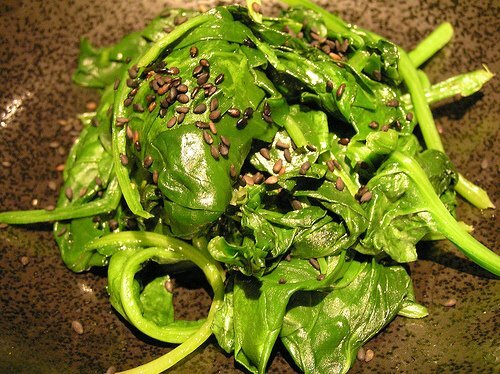 Spinach is a very nutrient-dense food. It’s low in calories yet very high in vitamins and minerals . When you consume this healthy food, you don’t need to worry about your weight-loss diet as you take in abundant, good-for-you nutrients. Enjoy this healthy and simple salad. ! Steam the spinach until it becomes tender. Pour the mixture over the cut spinach. Mix together. Place the spinach in the refrigerator until chilled. Once chilled, it is ready to serve. This entry was posted in Salads, Vegetables and tagged Quick Food, Spinach by Kamakshi. Bookmark the permalink.